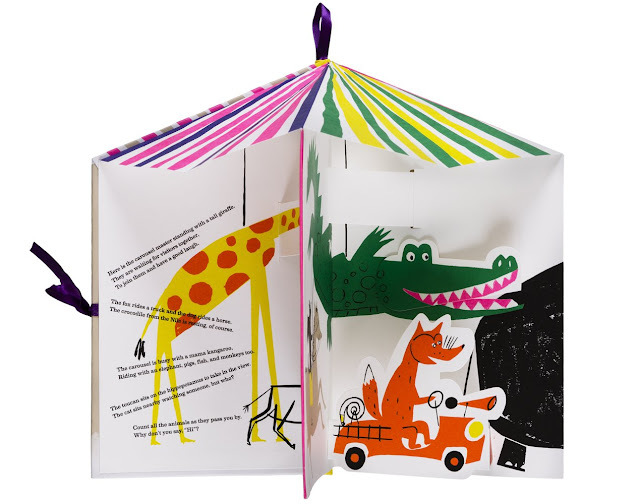 The Carousel of Animals by Gérard Lo Monaco is not only a pop-up book, it's also a carousel book, which means that it can be opened accordion-style so that it forms a circle around the spine of the book. 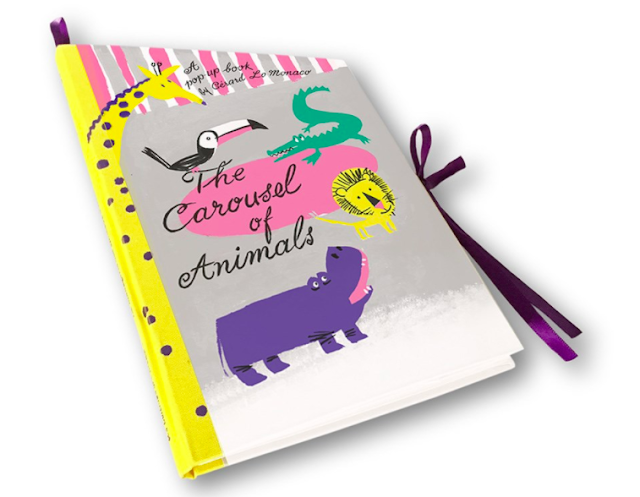 The textual narrative of this book is simple: animals are waiting for visitors to join them at the carousel. Most likely, these animals are part of the ride themselves (rather than visitors), and the text encourages readers to go around saying hello to all the animals, naming them, and joining their colorful world. All of the text is on the first "page" of the book, so the rest is free to readers to be as imaginative as they wish. As I mentioned, this is a carousel book, and the design is pretty darn on-point: a fabric spine, ribbons to tie the book together and a ribbon to hang the book like a decoration (kind of like a mobile above a crib). 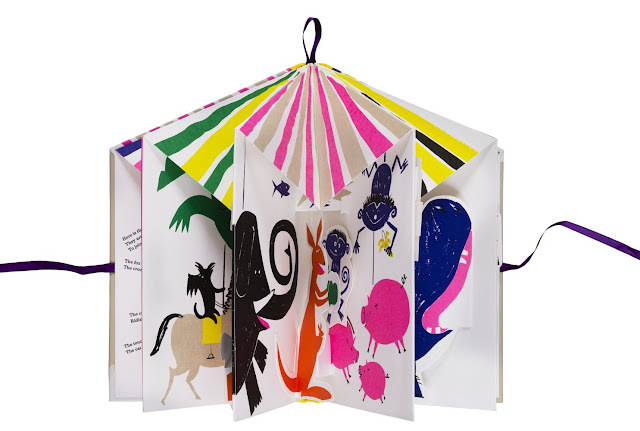 The illustrations look screen-printed so they are beyond vibrant, and the craftsmanship of the pop-ups themselves lends even further to the idea that this is a carousel that is meant to spin around and around. A wonderfully fun and engaging book for young readers! The Carousel of Animals publishes May 15, 2018 from Little Gestalten!